Endurance lasers are very compatible units and can fit into almost any 3D printer / CNC machine / XY plotter or laser engraving (cutting) chassis. Do you look forward to upgrading your 3D printer / CNC router or an engraving / cutting machine you have? If so, please fill in the form, and we will help you with advanced solutions from Endurance. Here is a partial list of compatible 3D printers and CNC machines where our lasers were tested and work just fine! Endurance keeps working and update the list of compatible 3D printers. Here is a tested and verified list. We state that Endurance lasers can be installed on any 2 or 3 axes machine if it has enough space near or by replacing the extruder or the spindle. An Endurance lasers can be connected to FAN / Spindle output pins. TTL wire connects to PWM output if necessary. If you have limited space in your 3D printer – please let us know so we can make a custom design for your machine. We provide with detailed guidance of how to connect the laser to your 3D printer or CNC machine. Usually, it takes 5-30 minutes, depending on your skills. If you need a special custom mount – let us know when you place an order and add “laser mount pack”. We provide with all types of aluminum mounts: L, П, T, I type of aluminum mounts. Electronics, connectors, is compatible and easy to connect. We provide detailed guidance about laser connection to different controller boards such as GRBL, RAMPS, etc. Did not find your 3D printer or CNC machine, please follow us in social media to be updated. 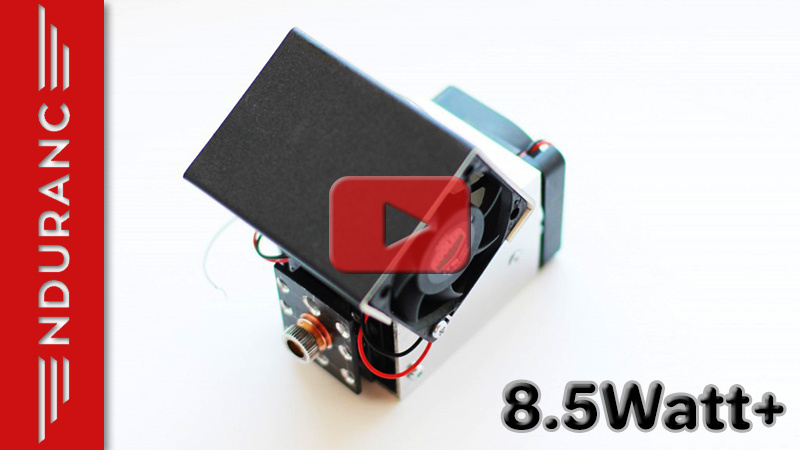 2.1 watt / 3.5 watt / 5.6 watt / 8 watt / 8.5 watt Endurance lasers work from 9 – 16V. If you have 24V power output on your 3D printer or CNC router – let us know and we will ship you step-down “buck” DC/DC converter. 10 watt / 10 watt+ / 20 watt Endurance lasers work from 9 – 24V. 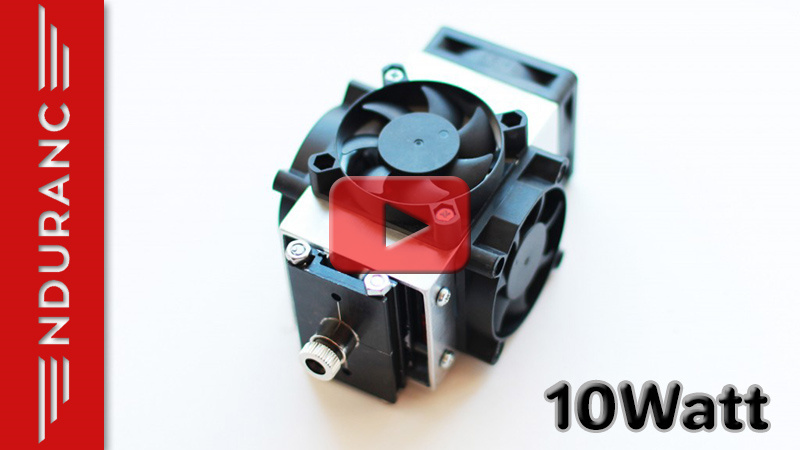 We mostly recommend connecting the laser to the heater fan output pin on your 3D printer or spindle pin on your CNC router. Here are a few pictures indicating correct pins. We have made and upload pictures of compatible 3D printers and CNC routers. Upgrade your stopend terminals on your 3D printer. Our customers make & share.